Happy Tarot Tuesday again, folks! 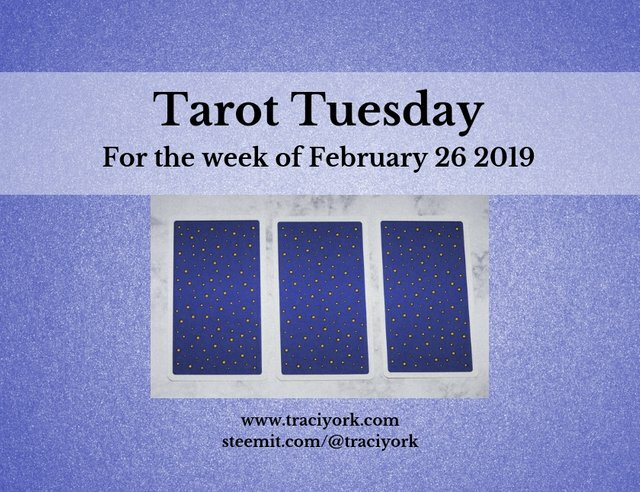 It's time for another one of my Tarot Tuesday readings - this one is for the week of February 26 2019. Quick thing before I start - for my Steemian friends, if you'd like to do me a wicked awesomesauce solid, you can cast your vote for my @steemitbloggers family in @theycallmedan's 20k Delegation Poll. There's less than two days left, and just like last time, we're running a close second. Just a little bit of a push from the Steemit community at large could bump us up to the top! 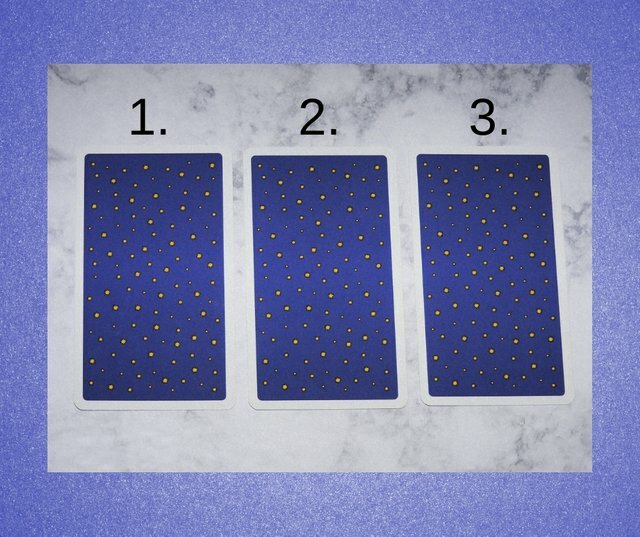 After you've decided on your card or cards, you scroll down the page for photo revealing the card faces, and your message for the upcoming week. Now, let's get started. Here's a photo of the backs of the cards (and yes, this is a new picture every week). Take a moment to decide which one (or ones) speak to you. When you're ready, then go ahead and make your choice. Next, to make sure you don't accidentally see the card faces before you've made your choice, here's a bit of spoiler prevention in the form of a photo. 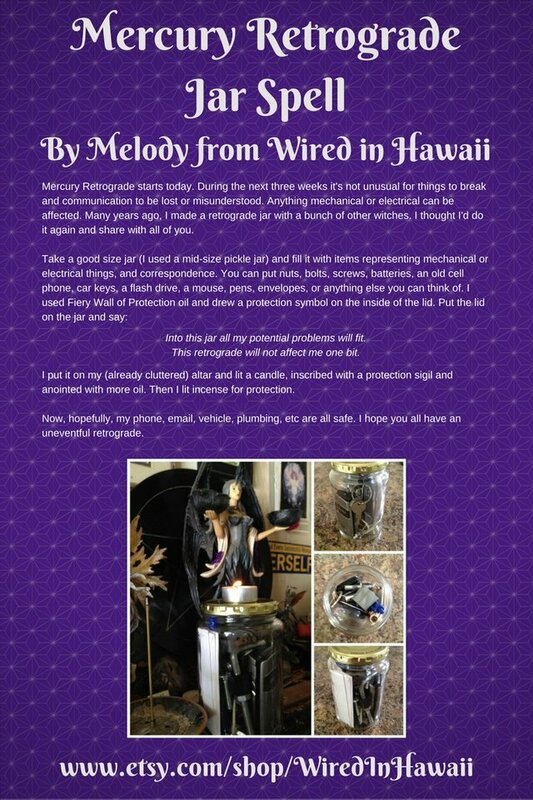 Since the next Mercury Retrograde is just around the corner (on March 5th), I figured I'd share this jar spell, put together by my dear friend Melody (and be sure to check out her Facebook page, Wired in Hawaii - Wire Wrapped Shells & Stones for some AMAZING creations!). Celebrate your groundwork. It's not done yet, but one of the most important steps - putting down the framework and laying the foundation - is complete. Maybe it's a project, a relationship, or an actual home - in any case, it's time to sit back for a bit, and celebrate this achievement. Things will only grow bigger and better from here. And keep in mind what David Brinkley said - "A successful man is one who can lay a firm foundation with the bricks others have thrown at him." Tarot Tidbit: The Four of Wands was last seen, in the third position, back last summer on August 28th, 2018. Bask in the rays! It's that glorious moment when Dorothy opens the door and steps into Oz for the first time. The sun is shining, the birds are chirping, and you can see the path before you (not to mention, the wicked witch hasn't shown up yet with her downer, shoe stealing vibes). Enjoy this moment to the fullest, and maybe even to spread the rays of sunshine to the people around you with a random act of kindness or two. It's the time to say, "goodbye to my weakness/ so long to the regret/ and now I see the world through diamond eyes!" 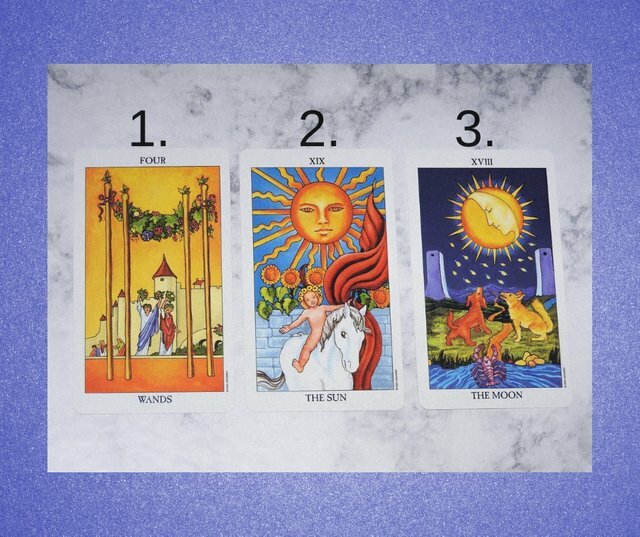 Tarot Tidbit: The Sun card was last seen in the first position back on November 20th 2018. Something mystical this way comes. You know the craziness that arrives with the full moon? You’re about to get your own personal full moon-itis. You’ll find yourself saying many times over, “What the absolute insert profanity of choice is going on?” But like a roller coaster ride (which is what your life will feel like for a short time), you have the option to squeeze your eyes shut, hang on to the handrail, and scream the whole time, or toss your arms up in the air like you just don’t care (after making sure your seat belt is fastened), hoot & holler, and enjoy the hell out of it. Your creative juices are also in high gear, so go for the gusto and make your dreams come true! Tarot Tidbit: The Moon was last seen, in the second position, also back last summer, on August 14th, 2018. Brightest of blessings to you in the week ahead! I chose the middle one!! Such a nice card!! I already voted long ago, but, I wish the steemitbloggers would win! 🎁 Hi @traciyork! You have received 0.1 SBD tip from @dswigle! Hello from the Steemit Tarot community! 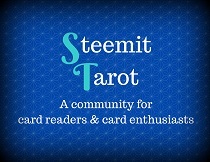 @steemittarot began as a way to curate all the Tarot Tuesday posts that starting popping up on the site. Now the hope is to connect all readers, people interested in learning about the cards, and other assorted people bearing good juju. To this end, your post has been resteemed and/or upvoted. To find out more, check out the intro post here. Hello there, this is my first reading and I really loved it as I actually feel like my reading suggested. Regards! Oh I picked 2, funny same card in my 3rd position today ;). Thank you oh soo kindly! I picked the Sun! Wonderful uplifting reading Dear Traci! Got the SUN! Thank you!